Lapenta, J. The Minocycle in Lyme Disease. (2017) Invest Dermatol Venereol Res 3(2): 125- 127. © 2017 Lapenta, J. This is an Open access article distributed under the terms of Creative Commons Attribution 4.0 International License. Hello friends of the Dermagic Express network today bring you a very interesting topic The Minocycle in Lyme disease. First of all I will tell you once again that this is not the first time I speak of this “Old Antibiotic” family of tetracyclines which many years ago, I repeat many years ago was discovered the Ability Or Capacity to finish or destroy many Microorganisms or bacteria which scientists considered practically “Invincible” Or “Impossible” to exterminate. The first and perhaps most important that I will show you is the Hansen’s Bacilli, the Mycobacterium Leprae, a millenary and apocalyptic bacterium, responsible for Leprosy mentioned in the Bible in the Levitic’s chapter, described and discovered by the scientist Armauer Hansen in The year of 1873. This Mycobacterium was considered “Invincible” until Sulphones appeared, Diaminodiphenyl Sulfone (DDS), Rafampicine, and Clofazimine. I am speaking of the years 1940-1945 when these medicines appeared, which together with Immunotherapy, decreed the closure of Leproseries throughout the world wide. All this I told you in the Leprosy chapters and a few years later came the Minocycline (MINO) an antibiotic that is changing the history of the evolution of some diseases today. This antibiotic is a family of “old” Tetracyclines whose first antibiotic was synthesized in the year 1940 under the name Chlortetracycline (Aureomycin) by the scientist Benjamin Minge Duggar, of Laboratory Lederle. Subsequent to this discovery, other Tetracyclines appeared on the market: Oxytetracycline, Demeclocycline, Lymecycline, Meclocycline. Methacycline, Rolitetracycline Tigecycline and our “Famous” Minocycline. Specifically Minocycline (MINO) was born in 1961 and placed on the market in the year 1967, Under the name Minocin, which still exists today? It’s been 50 years, half a century since its discovery. Its main use was to combat Acne bacteria, but other properties were later described. In March 1999, 17, I launched the article The Minocycline, The Good, The Bad And The Ugly, which was published in the Dermatology’s magazine of Chile, and updated on February 10, 2017 under the name Minocycline Alzheimer And Other Neurological Disorders, for its new uses. This means that I have 20 years talking about the benefits of this antibiotic that differentiate it from the rest of its congeneries. In The 1980s And 1990s, Minocycline Was Shown to have a highly potent effect against Mycobacterium Leprae and several therapeutic regimens were designed in conjunction with other antibiotics such as Ofloxacine, Claritromycin, and Amoxycylin to combat Leprosy[3-8]. Recently it has been discovered its effect Neuroprotector, being used today in diseases like Alzheimer, Parkinson, Schizophrenia, Bipolar Disorders, Autoimmune Encephalomyelitis And Multiple Sclerosis. 1) Has Broader Spectrum Than Other Tetracyclines. 2) Have an Average Lifetime in Serum: 2 to 4 Times Greater Than Other Tetracyclines. 3) It Has Greater Liposolubility Than Other Tetracyclines Which Allows It To Have Greater Penetration In The Tissues As Prostate, Brain And Central Nervous System. are you understanding me? You are copying me? Are you feeling me? That is why today we have found this antibiotic with uses that the human never thought could be useful. Now I Am Going to Explain the Relationship of Lyme disease With Minocycline. If you go to review the most known Databases you will find that the antibiotics most used in Lyme Disease of the group of Tetracyclines are Oxytetracycline, and Lately Tigecycline, without ruling out the Minocycline and the most used, family of Penicillins, Doxycycline, Also an old antibiotic that was born in 1961 and came on the market in 1967 by the laboratory Pfizer. A few days ago I read an article of a patient with Lyme disease who developed Bell’s Paralysis and its treatment with Doxycycline failure, they prescribed Minocycline and the patient was healthy. In many articles it appears as a first option against Lyme disease Doxycyline, and others, but not the Minocycline, much less the G Penicillin, of which I did not find almost, studies. But if you get to “Dig” well the databases you find the “Surprise” That Minocycline In the 80s and 90s, Was Discovered Its Effectiveness In Lyme Disease, in fact there are also some (few) Studies where it is shown that Penicillin G Procainic is also effective in this disease, and here comes the big question Why? These two antibiotics G Penicillin and Minocycline (Mino) are not used as the First Election against Lyme disease? or in combination with others? I know that some scientists do use The Minocycline, but very few or almost none of the G Penicillin, knowing that the Borrelia is a Spiroquette like the Treponema Pallidum that causes Syphiilis and that it “Dies” with Penicillin. This review I am doing to Remember To Some Scientists that Minocycline was one of the first antibiotics that after The Dapsone, Rifampicin and Clofazymine, has the ability, to eliminate a Micro-Organism as “Hard Die” as the Mycobacterium Leprae, this speaks for itself of its “Power” no matter how “Old” it is. What do I want to tell you with this? That I have knowledge of the “Tremendous” health problem worldwide that is causing the Borrelia Burgorferi and you have at your disposal 2 Antibiotics such as G Penicillin and Minocycline that can help you with all those patients, especially those suffering from Neuroborreliosis, because of the great capacity it has this antibiotic (Minocycicline) to penetrate the brain tissues. You also have Ofloxacin and Clarithromycin, so I suggest researchers use them in Lyme Disease. Of course against this Lyme disease has been used numerous antibiotics such as: ciprofloxacin, amoxicillin, erythromycin, tetracycline, cephalosporins and others. Finally, as I said in one of my reviews on Lyme disease. “…Do Not Stop Claiming Your Rights On Health, Treatment And Insurance Policy, But Also Do Not Hesitate To Make A Good Treatment ... Do Not Give Up ...” And also the old axiom is fulfilled:”...The Scientific Articles Do Not Prescribe For More “Old “ That Is The Date Of Publication ...” And we can also summarize that two old antibiotics like Doxycycline, a family of penicilins and Minocycline, a family of tetracyclines invented 50 years ago, are the ones who are giving the big battle against Lyme Disease today. I Particularly Think Minocycline Is More Powerful. 1. Marcos, L.A., Yan, Z. Progression of Lyme disease to Bell’s Palsy despite treatment with doxycycline. (2017) Int J Infect Dis 62: 81-83. 2. Carris, N.W., Pardo, J., Montero, J., et al. Minocycline as a Substitute for Doxycycline in Targeted Scenarios: A Systematic Review. (2015) Open Forum Infect Dis 2(4). 3. Fajardo, T.T.Jr., Villahermosa, L.G., dela Cruz, E.C., et al. Minocycline in lepromatous leprosy. (1995) Int J Lepr Other Mycobact Dis 63(1): 8-17. 4. Gelber, R.H., Murray, L.P., Siu, P., et al. Efficacy of minocycline in single dose and at 100 mg twice daily for lepromatous leprosy. (1994) Int J Lepr Other Mycobact Dis 62(4): 568-573. 5. Mane, I., Cartel, J.L., Grosset, J.H. Field trial on efficacy of supervised monthly dose of 600 mg rifampin, 400 mg ofloxacin and 100 mg minocycline for the treatment of leprosy; first results. 6. Ji, B., Sow, S., Perani, E.G., et al. Bactericidal Activity of a Single-Dose Combination of Ofloxacin plus minocycline, with or without rifampin, against Mycobacterium leprae in mice and in lepromatous patients. (1998) Antimicrob Agents Chemother 42(5): 1115-1120. 7. Efficacy of single dose multidrug therapy for the treatment of single-lesion paucibacillary leprosy. Single-lesion Multicentre Trial Group. (1997) Indian J Lepr 69(2): 121-129. 8. Ji, B., Jamet, P., Perani,E. G., et al. Bactericidal activity of single dose of clarithromycin plus minocycline, with or without ofloxacin, against Mycobacterium leprae in patients. (1996) Antimicrob Agents Chemother 40(9): 2137–2141. 9. Fritzsche, M. Chronic Lyme borreliosis at the root of multiple sclerosis--is a cure with antibiotics attainable?. (2005) Med Hypotheses 64(3): 438-448. 10. Li, M., Masuzawa, T., Wang, J., et al. In-vitro and in-vivo antibiotic susceptibilities of Lyme disease Borrelia isolated in China. (2000) J Infect Chemother 6(1): 65-67. 11. Breier, F., Kunz, G., Klade, H., et al. 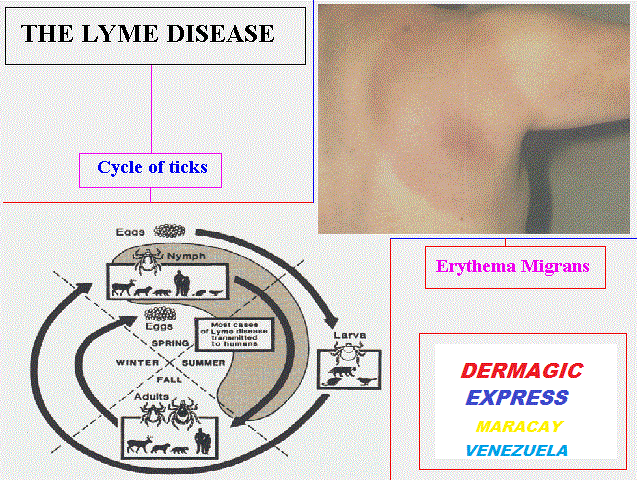 Erythema migrans: three weeks treatment for prevention of late Lyme borreliosis. (1996) Infection 24(1): 69-72. 12. Muellegger, R.R. No detection of Borrelia burgdorferi-specific DNA in erythema migrans lesions after minocycline treatment. (1995). 13. Johnson, S.E., Klein, G.C., Schmid, G.P., et al. Susceptibility of the Lyme disease spirochete to seven antimicrobial agents. (1984) Yale J Biol Med 57(4): 549–553. 14. Weber, K., Neubert, U., Thurmayr, R. Antibiotic therapy in early erythema migrans disease and related disorders. (1987) Zentralbl Bakteriol Mikrobiol Hyg A. 263(3): 377-388.